For a guy who usually only spends a couple of days with each car I review, I can say that, by comparison, I’ve driven the Dodge Charger Hellcat a ton. I’ve had it on the track, driven it over 1,000 miles across the American southwest, and gulped down tank after tank of fuel burnouting my way across southeast Michigan. Yet I can’t get enough. It’s a hilarious middle finger to German powerhouses like the BMW M5. It has supercar power numbers and it has arguably the coolest name of any car on the road today. It’s big and imperfect, and I love this car. Seven hundred and seven horsepower. Say it again – seven hundred and seven horsepower. I shouldn’t have to explain why this tops my Pros section. There is so much available grunt in this car that you can spin the tires – with traction control fully engaged – at only half throttle. 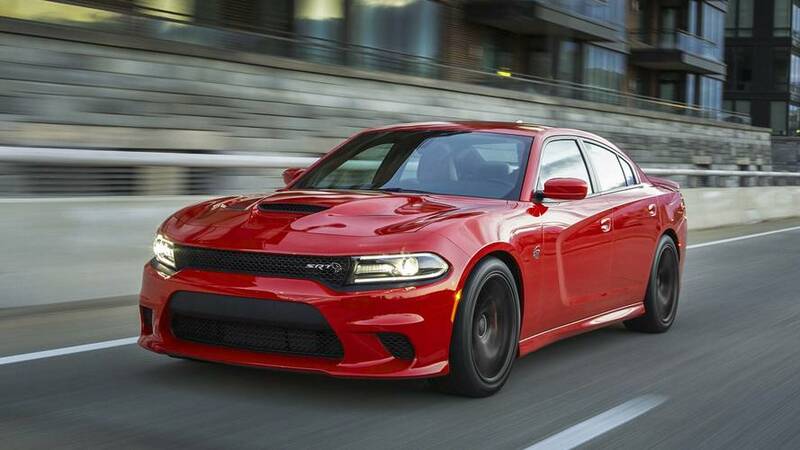 It doesn’t even matter what drive mode you’re in – even in its laziest setting, the Hellcat has sharp claws. The supercharger whine is loud and constant, the exhaust roar robust and plentiful. It goes like hell, and sounds like the devil himself while doing so. Everyone seems to flock to the Challenger as the poster child for Hellcat radness. But the Charger is actually way better, to me. It’s faster, with a top end above 200 miles per hour, you can see out of it, it seats five adults comfortably, and it doesn’t grab as much attention. Never mind the crazy power, the Charger is a really nice car to live with day to day. It’s huge inside, with big, comfortable, heated seats, the excellent Uconnect 8.4-inch touchscreen infotainment system, tons of safety equipment, and an extra large trunk for all your stuff. 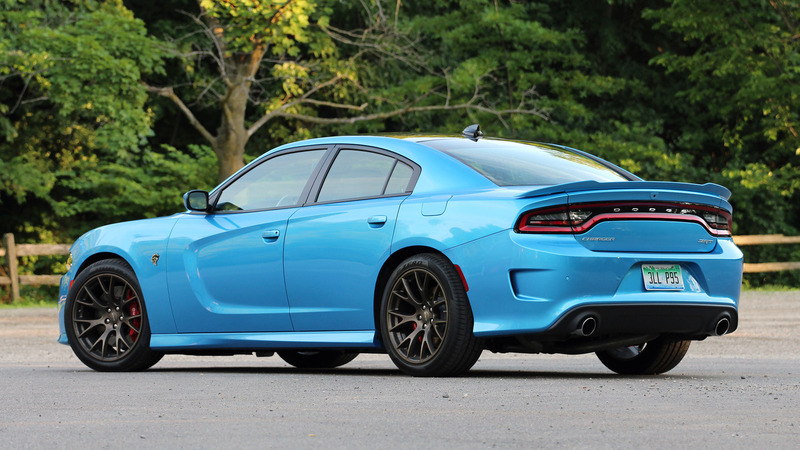 Non-Hellcat Chargers get high marks in these categories, as well. But the Hellcat gets higher marks because Hellcat. 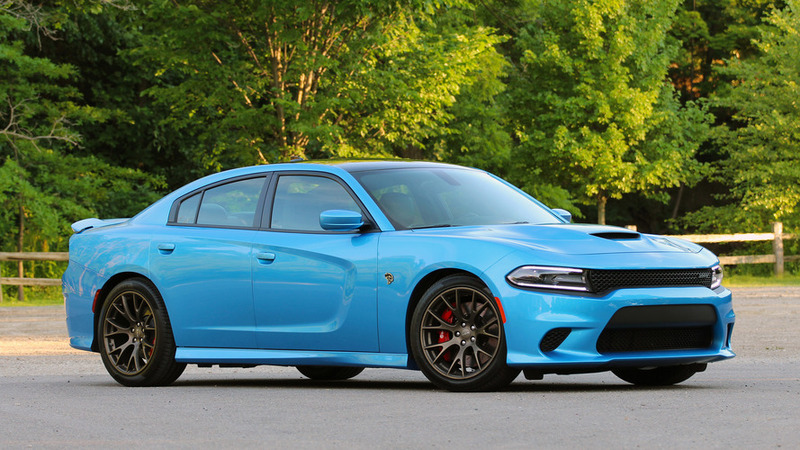 To expand on my previous point, yes, the Charger has lots of stuff inside, but for the $66,000 asking price of the Hellcat, you’re only paying for the big motor. This does not feel like a $66,000 car inside – plastics and materials aren’t high quality, and the overall interior design is pretty plain.